Presenting Style Magazine’s Distinctive Dentists special advertising section. Some of our area’s best dentists and orthodontists have chosen to highlight their practice within the pages of the area’s most read community magazine. Each month Style plans on choosing a different industry to give these businesses a unique opportunity to stand out and highlight their products and services. And when you visit these businesses, make sure you tell them you saw their profile in Style! Dr. Shellie Edwards and Dr. Ryan Everhart strive to create a gentle, caring and comfortable dental environment that patients appreciate as soon as they walk through the door. Described as approachable and honest, these doctors focus on patient education and preventive care. Dr.'s Edwards and Everhart are skilled in all aspects of dentistry and enjoy working with children. Their state of the art office is equipped with the most modern dental and sterilization techniques. Dr. Shellie Edwards received her degree from UCLA School of Dentistry in 2002. She loves spending time with her husband and their two children, snow skiing and going to hot yoga. Dr. Everhart earned his degree from UOP School of Dentistry in San Francisco in 2008. He enjoys boating, traveling and photography. Dr’s. Edwards and Everhart are passionate about life, family and their profession which makes patients of all ages look forward to coming to the dentist. Dr. Stanec lives up to this belief in his practice. His office hours are scheduled around his family commitments, giving him the time to coach his kids’ sports teams. The only other employee in his practice is his wife, Elena, who serves as the receptionist and bookkeeper. Dr. Stanec’s office is open weekly on Monday, Tuesday, Thursday and Friday. Open Monday through Thursday, 8 a.m. to 5 p.m.
Dr. David McIntire grew up in El Dorado County until he started college. He feels grateful and blessed to live in El Dorado County again to work and raise his 2 children. 25 years of surgical experience creates a high level of surgical skills, however, Dr. McIntire believes good communication with his patients creates good rapport and trust. He spends time really listening to his patient’s needs, wants and desires which is equally important to surgical skill. Dr. McIntire is a patient rights advocate and his highest priorities are honesty, patient safety, communication, comfort and privacy. Dr. McIntire understands the troubles our poor economy has caused for all of us. For this reason he has reduced his fees for all procedures and utilizes flexible payment arrangements. Dr. McIntire loves his profession and is very confident in his surgical skills. Above all he believes that good communication and spending time listening to his patients are the most important services he can provide. Flexible financial arrangements and lower fees make surgical treatment more affordable. Congratulations to our “Top Dentists” Drs. Jeff Sue, Jenny McCarthy, Lexie Lyons, Tommy Clements, Mike Weideman, Darcy Owen and Cindy Weideman! They were all voted “Top Dentists” in the Sacramento and surrounding area. This vote was based on a peer-review survey in which dentists and specialists throughout the Sacramento area cast thousands of votes. What an honor to have our seven doctors selected by their peers! In addition to our Specialist in Orthodontics, we have four Board Certified Specialists in Pediatric Dentistry. This accomplishment and rigorous training is the highest achievement a specialty trained pediatric dentist can obtain and it’s extremely rare to have four in one office. 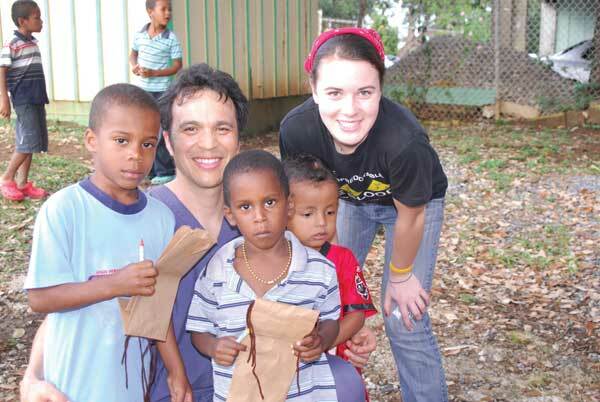 Our doctors also have degrees in psychology and have been trained specifically to help children with special needs. Comforting children and alleviating fears is really what we focus on. Our “Top Dentists” are committed to making Weideman Pediatric Dentistry and Orthodontics the best place for parents to bring their kids. As a certified pediatric dentist, and Diplomate of the American Academy of Pediatric Dentistry, Dr. Victoria Sullivan has 16 years of experience and offers a wide range of services. Dr. Vickie is involved in the local community as a parent and a health care professional. Her caring and gentle staff is sensitive to children with special needs and has a variety of toys and comfort objects to assure their visit is calm and reassuring. Young patients are treated in a child-friendly, state-of-the-art office. Digital charts and X-rays are kept on file, and sedation options include IV, oral sedation, and nitrous oxide are available. Laser treatment is also available. Every child deserves to be treated by the best, in a relaxing and friendly atmosphere. The best is Dr. Vickie. Dr. Tabrizi graduated from University of Missouri, Kansas City, and prior to that, he attended Southern California University of Health Sciences obtaining his Doctoral degree in Chiropractic. Dr. Tabrizi has extensive experience in general and cosmetic dentistry to create that winning smile you so desire. Dr Tabrizi provides a state-of-the-art facility for the highest quality dental care available. At CDS, Dr.Tabrizi also provides anxiety free dentistry. Just wake up with a new smile! Dr. Chen is a cosmetic and general dentist and State certified in Adult Oral Conscious Sedation. His focus is on esthetic and implant dentistry but also provides general dental care for the entire family. 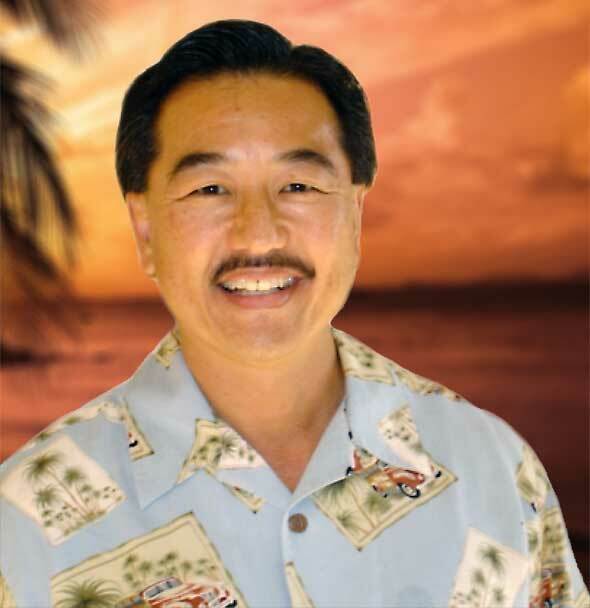 Dr. Chen has a philosophy of preventing disease both in dental and whole body health. As a result, he works closely with his patients’ physician when signs of disease are noted. “Patients and their needs come first when determining their care. We want to help improve their self-image with a beautiful smile and excellent oral health in a kind and caring environment.” Dr. Chen and his staff strive to provide exceptional service and the highest quality clinical care. Each patient is an individual and deserves the best of care. Your dental treatment plan is created just for you. We use the best materials and latest technology to ensure the longevity of your treatment. Integrity and honesty are guiding principles in our dental practice. You can rest assured that we will only do dental work that is timely and necessary. We want you to look your best, and in the process maintain optimum health, comfort, and esthetics. Dr. Maddox graduated from Loma Linda University, School of Dentistry in 2006. In his spare time, he likes to spend time with his wife and twin sons, ride his dirt bike, spend time outdoors, and work on restoring his 1967 Buick Riviera. 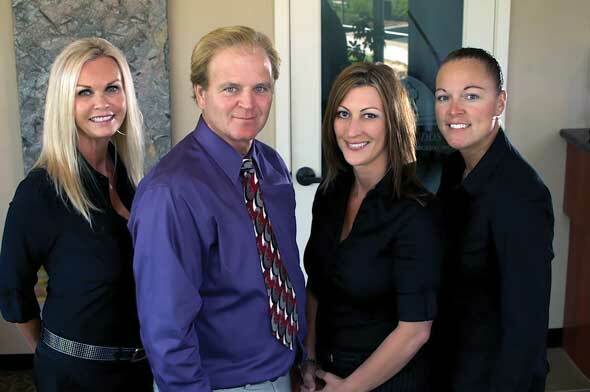 Meet Dr. Sean Roth DDS, of Folsom, CA. Dr Roth takes pride in the fact that he lives in and has provided dentistry to the Folsom community for the last 10 years. Educated and trained at UOP School of Dentistry, he graduated in the top of his class. Dr. Roth is passionate about dentistry, and loves what he does. You’ll sense it the first time you shake his hand. Patients feel like family and the office is designed to feel like you’re a guest in his home. The environment is warm and comfortable, yet incorporates state-of-the-art technology, materials and labs for the very best treatment options available. His team serves the entire family, from small children to the elderly, providing all phases of general dentistry. He has a passion for cosmetic dentistry and loves helping transform lives by restoring teeth and creating the smile of your dreams. You are invited to stop by, meet Dr. Roth and take a tour of the office. We’d love to have you a part of our dental family, for life! • Enjoy a positive, supportive, non fearful environment. • Experience an “out-of-this world” practice that is relaxing for parents and fun for children. • Trust Dr. Hsu and his team to take care of your child’s preventative, restorative, cosmetic, and sedation dentistry needs. Dr. Sydney Moore understands how worrisome it is for parents whose children need dental treatment. “Will it be hard for them?” “How will my child be cared for?” Dr. Sydney has three little ones of her own, ages 7 to 2, and brings all her “mommy’s” gentle patience and experience to her practice. A Board Certified Diplomat Specialist in Pediatric Dentistry, Dr. Sydney’s practice (est. 1991) is small, friendly and relaxed. Dr. Sydney graduated from University of The Pacific School of Dentistry, San Francisco, and then completed the two year residency in her specialty. She and her exceptional staff will take the best, most gentle care possible of your child. Drs. 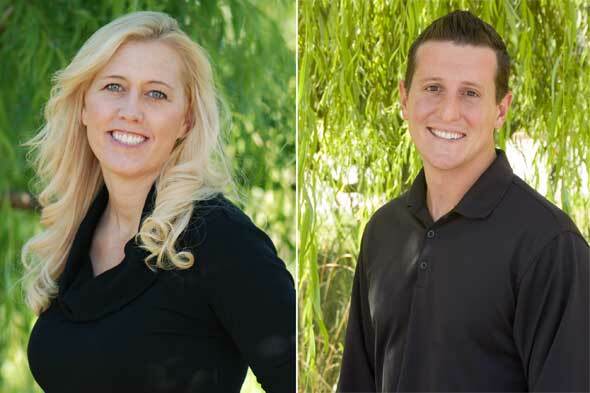 Cater and Galante are a husband and wife Orthodontic Team, in practice together since 1993. They specialize in providing the most up to date treatment modalities and products in Orthodontics. They are proud to have the distinction as Super Elite Providers of Invisalign, which puts them in the top 40 of all doctors nationwide in their level of expertise and experience with Invisalign. Another area, besides Invisalign that they specialize in is the treatment of Orthodontic problems early, before a child has all their adult teeth. There are many problems at age 7 or 8 that can be resolved with the use of retainers or other appliances other than braces that will minimize or even eliminate the need for more extensive orthodontic treatment in the future. To find out how they can help you and your family achieve a beautiful and healthy smile go their website at www.luvmysmile.com or call their office at 916-435-8000 to schedule a complimentary consultation. Over 20 years of excellence in our community. Blue Oak Dental~Rocklin philosophy is simple: provide exceptional and comfortable dental service that is honest, compassionate, and respectful to both patient and family. We have four general dentists to care for all your general/cosmetic needs: Dr. Mark Arena, Dr. Frank Resch, Dr. Mike Gade, and Dr. Randy Wilkes. We have a board Certified Pediatric Dentist, Dr. Barry MacDonald for all your children’s needs and a Board certified Maxiilo-facial surgeon, Dr. Mark Weiner, for all your oral surgery needs. We invite you, your family and friends to be part of our dental family. You will enjoy our friendly professional staff and atmosphere! First-class cosmetic and general dentistry in a comforting environment is a reality at Rocklin Gentle Dental. Dr Sevan Yergatian focuses on providing you the very best in dental care. He does this by utilizing the latest equipment and procedures. His helpful and friendly staff goes the extra mile to make sure your visit is pleasant. Dr Yergatian will listen to your dental concerns and strive to develop the personalized solutions that meet your specific needs. 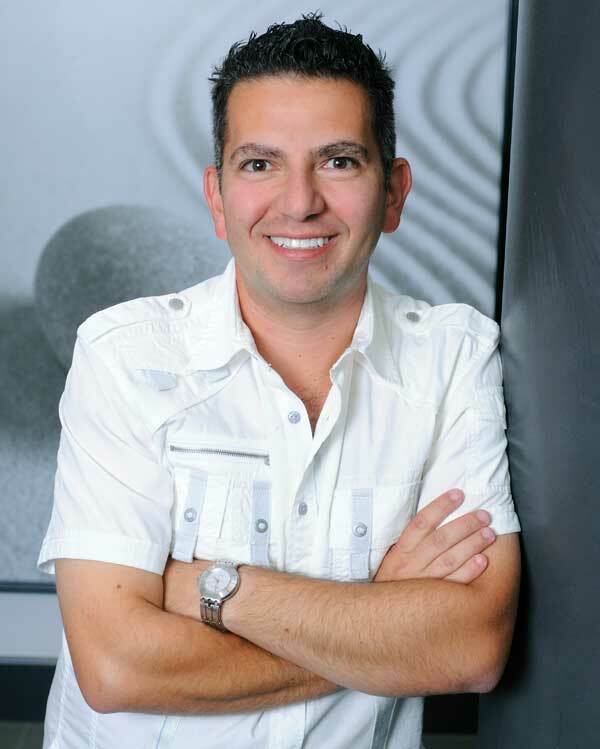 Dr Yergatian has proudly cared for the dental needs of his local community for over 10 years. Being surrounded by state-of-the-art equipment, Rocklin Gentle Dental offers cutting-edge techniques in dentistry, while providing a relaxed atmosphere to calm the nerves. We look forward to establishing long-lasting relationships with our patients and to ensuring a healthy smile that radiates confidence and beauty. A beautiful smile is only a phone call away. Call today to schedule an appointment. “Care for a lifetime” is the cornerstone upon which Blue Oak Dental was founded over 20 years ago in Roseville. Their friendly staff and dentists provide quality dental care and help patients look and feel their best through optimal dental health. They are committed to the integrity of their profession and honesty of their treatment recommendations. They offer extended appointment hours – 7 a.m. to 7 p.m. each weekday, and 7 a.m. to 1 p.m. on Saturdays. They provide general dentistry, implant dentistry, orthodontics, periodontics and cosmetic dental services.At Blue Oak Dental ~ Roseville, they strive for more than just a beautiful smile. Healthy teeth and gums are essential to good health and that’s why our office features an in-house periodontist, Gregory Steiner, D.D.S., M.S., and an in-house orthodontist, Dwight Miller, D.D.S., M.S. Blue Oak offers flexible financing and welcome new patients. Please ask about their $50 new patient certificate.